For the 15th consecutive year, I set out for the Larry Joe Taylor Music Festival and Chili Cookoff. I’ve gone on Wednesdays and Thursdays, and I’ve found that I enjoy the Thursday-Sunday route to be the best. 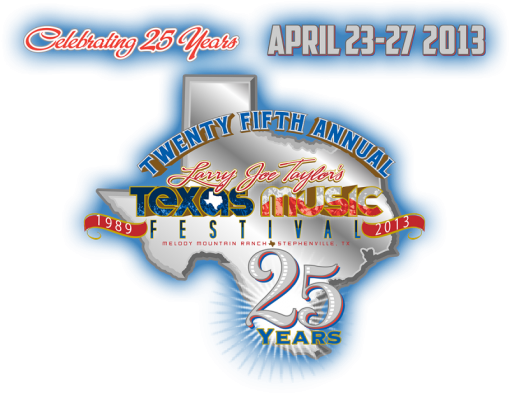 LJT is a marathon, and while you don’t get a 26.2 sticker for your car upon finishing…you get the relief of surviving the madness for one more year. The festival has changed so dramatically over the years that it bares little resemblance to what I first fell in love with all those years ago. It’s not bad, just different. Everything is bigger. I think the first year I attended there were maybe 3,000 in attendance. The announced attendance for year 25 was over 55,000. Any event that multiplies in size nearly 20 times is bound to change. At its heart and core, LJT is still about the music. While social media lit up in the aftermath about the bullish, ignorant behavior of a rowdy minority, that should not overshadow the fact that 95% of that 55,000 were there for some amazing music that lasted from Thom Shepherd’s first bloody mary tune at 10AM until sunrise the next morning each night. Professional, amateurs…rednecks and hippies…frat dudes and retirees. All united as one musical force under the spell of Larry Joe Taylor and mystified by the Rusty Wier-influenced magic that is alive in the hills of Melody Mountain Ranch. We’ve become a well-oiled machine at LJT planning, camping and attending. Learning what supplies are must-haves and what you can leave at home because you’ll never touch. Some of our group rolled into town on Tuesday, others on Wednesday and the majority of us hit Stephenville Thursday. Tuesday was apparently frigid misery complete with sleet and near freezing temperatures. The crowd was not big yet and music from The Departed and Pat Green warmed the souls of those in attendance by all accounts. Wednesday ramped things up quite a bit as sets from Whiskey Myers, Stoney LaRue and Josh Abbott among others set the tone for what was to come over the course of another fantastic week of music and memories. Big props to Bart Crow for rocking out our campsite winner’s place and then taking his talents to the mainstage for more mayhem. We loaded up the final supplies in our RV and hit the road about 8AM Thursday morning. By the time we hit the Melody Mountain Ranch gates at 11AM we were about to bounce out of the truck with anticipation. That red Z-71 may as well have been a Delorean taking us back in time as each year the trip and entire experience seems to be a time capsule separate from the rest of your life. The LJT experience is like summer camp for adults crammed into a few days and backed by the best soundtrack you’ve ever heard. Each year expectations and anxiety are high and then it eclipses your premonitions. This year was no different. After setting up camp and chilling out for a while in the shade and plowing through that first glorious chicken on a stick, we packed up to go see Radney Foster on the Allsup’s stage. Radney Foster is a living legend for good reason. His good nature, prolific song catalog and endearing stage manner make him a must see anywhere. After a heartfelt introduction from Randy Rogers, Foster worked his way through a series of heavyweight tunes culminating in “Angel Flight” which he sent out to the folks in West and Boston. A quiet hush rushed over the crowd during his introduction and the stillness lasted throughout the song. At times it was reminiscent of a boisterous crowd breathlessly singing along to the “Star Spangled Banner” at a ballgame. The first truly powerful musical moment of the weekend with more on the way. Thursday night’s mainstage offerings promised to be a back to back to back head kicking (in a good way) as described on Twitter. Reckless Kelly followed by Wade Bowen followed by the Randy Rogers Band is like the ’27 Yankees of Texas Music festival lineups. Not to be outdone though, their openers on this occasion were no slouches. The Damn Quails followed by Brandon Rhyder. Thursday night was definitely shaping up to be a heavyweight fight. The Damn Quails bring a frenetic energy to their folk outfit that makes their sets a mix of intensity and charm. They blasted through their radio hits and a few left turns without missing a beat. Brandon Rhyder hit the stage next and his powerful vocals bounded off the crowd in their traditional way. Matt Powell on guitar and backing vocals adds so much depth to Rhyder’s sound, which made “Shine” a set highlight. Reckless Kelly hit the stage next with all the sly swagger Willy Braun could muster. It was an energetic set that was capped with a spot on cover of Beastie Boys “Sabotage” to close. Wade Bowen strode onstage next, fresh from touring the devastation in West. The fellow Wacoan has been greatly impacted by the tragedy and saw it up close firsthand prior to arriving in Stephenville. Bowen was in a good mood, and his band of pros led by bassist Caleb Jones were on top of their game…but there was a brewing poignancy right under the surface during the entire set. That poignancy overflowed during Bowen’s tribute to West that saw him turn his “If We Ever Make It Home” into “Hallelujah” and “Amazing Grace”. The most powerful musical moment I saw all weekend. Randy Rogers Band are such consummate professionals now that they make everything they do look effortless. Bouncing between old favorites and songs off the new Trouble album, the RRB set peaked as they were joined by a rowdy cast of characters on several tunes including a Haggard cover that found Kylie Rae Harris two-stepping around the stage with Brady Black. Post RRB, the mainstage music was shut down for the night and Mother Nature wasn’t cooperating with the jam vibe. We bounced around a few campfires and found few guitars and many shivers. We chased the sunrise catching up with old friends and deep in typical post-midnight problem solving conversations. We shook off the cobwebs after just a few hours sleep with the help of some Advocare Spark, black coffee and greasy campsite breakfast tacos. Just what the LJT doctor ordered for sure. As we were coming to life we received word that George Jones had moved on to the next one. The hungover mood turned reflective as folks prematurely discussed what his loss what meant and all that goes with it. The music and life of George Jones was larger than most and it will take some time to put it all in perspective. But, if there was ever a good place to receive that sort of bad news, LJT just might be the perfect spot. Twitter was atwitter with Possum tributes and memorials and I tweeted out a charge to the LJT performers to answer the George Jones tribute bell. We finally caught our first Friday wind around noon which was perfect timing to stroll to the Allsup’s stage and catch Josh Grider’s set. Grider was working with a pieced together band and plowing through technical difficulties when he brought us the first of many George Jones tributes we’d witness. G-Ride belted out a boisterous and heartfelt cover of “The Race Is On” and was rewarded with a standing ovation. Something that’s become a tradition for him at LJT. Before we knew it, the grounds of Melody Mountain Ranch had transitioned to a church…or was it a therapist’s couch. At any rate, Walt Wilkins was healing folks from the first note. Walt is spiritual, righteous and just plain good in every sense of the word. All in attendance left his LJT performance better for having seen it. Max Stalling and Gary P. Nunn came next and each did what they do best; laid back honky-tonk and vintage Red Dirt rock respectively. Around this time, we headed to our campsite concert giveaway to see Six Market Blvd jam in a super cool setting. These kids get better and better each time I see them. They’re original, fresh and youthful…a potent mixture to be certain. The 6MB guys were joined by LJT legend Uncle Bob on tambourine and proceeded to burn through some of their best hits before we all retreated to the mainstage area to prepare for what had been the buzz of the festival the entire weekend: Josh Weathers’ set. On Thursday night, I’d run into some of Weathers’ crew and they tipped me off as to what they had in store for Friday night’s eagerly anticipated set. I found myself a good view and settled in as Weathers was still loading in. His bouncing pompadour framed hipster shades and a smile. He knew he was about to rock the place and that’s what he proceeded to do. He held the crowd in his hand from the first note and never lost them. Through rock, country, soul, covers and acapella Weathers was in charge. It was an electric 67 minutes. After rattling through some of his best originals, Weathers went all Otis Day and the Knights on everyone and bellowed into the mic for 50,000 rapt ears, “Well……”. By the time he hit “you know you make me wanna shout!” and the crowd realized what was happening, the whole scene had turned to sheer, joyous pandemonium. I don’t know that I’ve ever seen that many artists sidestage checking out another artist’s set. It was packed with all sorts of movers and shakers all left shaking their heads and staring in disbelief at the awesome performance unfolding in front of them. This description may seem like it borders on hyperbole to some of you, and if it does that’s for good reason. It had to be seen to be believed. After the Six Market Blvd guys ripped up the mainstage following Weathers, they gave way to Roger Creager. Creager was decked out in this year’s LJT social fad, a Chive shirt. Chive flags were abundant and the Keep Calm mantra was everywhere. It was this year’s, “I’m Rick James” or “More Cowbell”. Creager is a gifted entertainer and he knows exactly what buttons to push in a setting such as LJT. As soon as he pulled the first notes of “Love” out, it was apparent we needed a NWS warning for rain. Beer splashed down around the entire crowd during the chorus during each time it came by. During the set change from Creager to Fowler we decided to hit the campgrounds and we began to stroll. On our way we ran into Josh Weathers’ sax player Jeff who was heading out to give the campfire jams a new twist. We hit a few campsite jams and ended back up at our own campsite where we proceeded to crank the iPod to 11 and have an old school rap dance party. Before too long there was a crowd of around 40 people drunkenly doing The Running Man and Kid N’ Play dances to jams from Lil’ Troy and Ice Cube. This insanity went on well into the early morning hours. And as the embers faded to ashes everyone and the sky lightened from black to purple everyone decided it was time to catch a little shuteye. Saturday morning’s rollout was a tad slower than Friday’s but we were still up to the Allsup’s stage in time for the music to start. Watching Terri Hendirx interact with Lloyd Maines is always a treat. Her performance was a welcome respite from her failed comedy bits of introducing acts as emcee by reading mundane things she had Googled about them. Hendrix was followed by Tommy Alverson and Davin James. Another pair of longtime LJT favorites who put on enjoyable sets that were the perfect soundtrack for some early Saturday relaxed afternoon imbibing. By the time Ray Wylie Hubbard hit the stage, my voice was now completely gone from talking over the loud music and generators constantly. Singing a few around the campfire may have also transpired to shut my voicebox down…but it didn’t deter the good times. Ray Wylie was at his lowdown, groovy, humorous best. His set rolled out like a RWH greatest hits collection and by the time he was done everyone was grooving whether they wanted to or not. The Los Lonely Boys were originally scheduled to play after Ray Wylie, but had to cancel. Instead of filling that slot with a band, the LJT folks wisely decided to use that time to hold an auction for West. The totals proceeds from which reached over $50,000! As the auctions came to a close, William Clark Green started up. Green’s set was one many people were looking forward to. His new, buzzed about album Rose Queen was available at the LJT merch tent for the first time anywhere and people were stoked to hear the new stuff live. WCG had a vocal, loyal and rowdy fanbase representing for him throughout his set that peaked with instant classic “She Likes the Beatles”. LJT veteran Mike McClure hit the stage next and it is so cool to see Mac comfortable in his skin these days. He’s happier than I’ve ever seen him and his set reflected that. It was less music festival and more welcomed reunion. McClure was playful with his audience interaction and even took several requests from the raucous crowd during his laidback set. The Tejas Brothers have become an LJT institution over the past few years and the Dave Perez outfit didn’t disappoint this year. But, the main act on people’s lips all day long had been Jack Ingram’s return to LJT after a 10 year absence. Jack didn’t disappoint. Jack did what Jack does. He hit the stage with more intensity and energy than everyone else combined. Jack blasted through his catalog reaching back to the early days through unreleased new tracks. He was having such a great time that at one point he proclaimed into the mic “Hey, Larry Joe…I’ll come back anytime you ask!” I speak for everyone when I say, Larry Joe…please ask him to come back. LJT closed out the festival as only he can. Full of guests, craziness and relief that we’d all made it through another wild week. 25 was one for the books. But the fire wasn’t even out at the campsite yet before we were discussing what to do next year. See you at 26! Did noone see 1100 springs rock the T=Bird bar or what?! They were at the top of performances! I didn’t see Matt the Cat and the gang. We were wandering around the campfires during that time. I heard they burned it down! your LJT confessions are much more my style. Great re-cap holmes. That Jeff Dazey is quite the beast. I will go to steamboat for the first time when Weathers plays. Those after-partys would be insane with Dazey in the mix! Great write up Brad. We had the best time ever this year. Huge thanks to the Taylor Family and the amazing staff out there. One of the best line ups ever. It was amazing to see how many people sang along front row during Josh’s set. The campfires exposed some great talent as always too. Moments at Melody Mountain remind me of what it’s all about. I just wanted to thank you guys for hooking me up with the ticket giveaway. Disappointed I didn’t run into y’all at any point, but I’ll be down for Greenfest without a doubt. More than half of the music I own is based off of recommendations I get from y’all. Don’t think we can’t. I enjoy you because of each of your hard work on this web page. Betty really likes getting into research and it’s easy to see why. We all hear all of the compelling means you render helpful information through the web site and therefore foster participation from some other people on the concept so my princess is truly becoming educated a lot. Take pleasure in the remaining portion of the year. You are performing a glorious job. I simply want to say I’m beginner to weblog and truly enjoyed this web-site. Almost certainly I’m likely to bookmark your blog post . You amazingly have great well written articles. Cheers for revealing your web page. I must show my thanks to this writer just for bailing me out of this type of circumstance. After scouting throughout the world wide web and finding basics which are not productive, I figured my entire life was done. Being alive without the answers to the problems you have sorted out by way of the site is a serious case, and the kind which may have adversely affected my entire career if I had not noticed your web site. The knowledge and kindness in touching every part was important. I’m not sure what I would’ve done if I hadn’t come upon such a step like this. I’m able to at this time look forward to my future. Thank you very much for this skilled and effective guide. I will not think twice to refer your site to anyone who needs to have support about this problem. I have been surfing online more than three hours nowadays, yet I by no means discovered any attention-grabbing article like yours. It is beautiful price sufficient for me. Personally, if all site owners and bloggers made just right content as you probably did, the internet will be much more useful than ever before.